Click the image to read the scintillating(*) Sports Illustrated story on the downfall of Jim Tressel. Marvel(**) at the hard-hitting journalism demonstrated by George Dohrmann as he builds his case on the back of a convicted felon currently serving time! 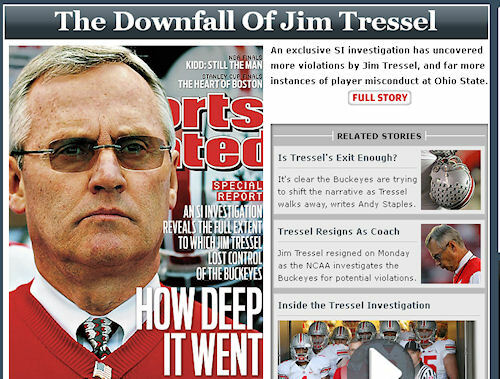 Be amazed(***) at all the new allegations as SI plumbs the depths of the depravity of Tressel’s tenure at Ohio State. 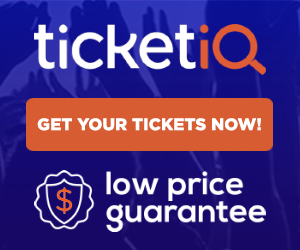 The article was really crap that had to go back 30 years to some raffle that happened during a summer camp to try to prove that Tressel cheats. Breaking News: In his next highly anticipated article promised soon, George Dohrmann will reveal unnamed witnesses observing JT drowning kittens in 1962. Rafflegate- give me a break!